I was wondering if anyone has read about mystic or ascetic training practices from the Christian tradition. I purchased the book Christian Self-Mastery by Fr. Basil W. Maturin, which is a guide to applying ascetic training practices to achieving health in mind, body, and spirit in daily life. I haven't read it in full, but some of the themes are similar to those I've read about in Yoga or Zen Buddhism (but without the unorthodox elements of Eastern religous philosophy that might be contradictory with Christianity). A point is an emphasis on the use of breath training and mental imagery to train the mind and body to deal with stress and adversity - such as training the mind to fixate on a mental image of Jesus Christ to help avoid negative emotions and distractions. It also does a good job illustrating the difference between genuine monastic or ascetic training, and unhealthy self-denial or repression - essentially the take is that genuine self-mastery is akin to training a race horse, with the mind and body both focused on a deeper spiritual purpose, as opposed to merely viewing the physical self as completely "evil" and mindlessly trying to force it into submission with the harshest austerity possible, as some of the more puritanical aspects of religion have been stereotyped. I'd be weary of anything labeled "self-mastery" as it pertains to spiritual matters. Last edited by JMG on Fri May 25, 2018 10:58 pm, edited 1 time in total. I'd be weary of any labeled "self-mastery" as it pertains to spiritual matters. Thanks, I tend to be weary of things like that if it sounds too wooish or out of the ordinary, or makes promises of granting "supernatural" experiences or anything of that nature. I was more in the market for a type down-to-earth mind and body training - but with a Christian spiritual foundation, since most of what is popular in that area seems to be derived from Eastern religions or New Age movements. It sounds like you might enjoy reading Thomas Merton, noam. 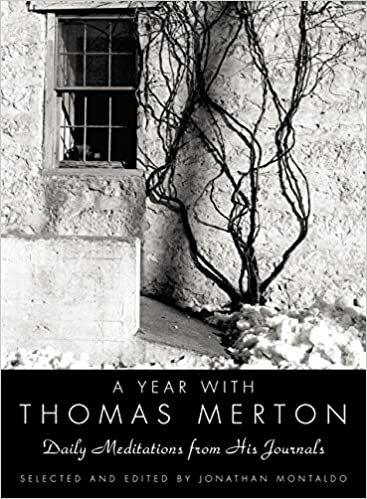 Thomas Merton is my favorite Christian writer. He writes like an early church father from the desert, but in a way that appeals to this modern. Since he is only one generation removed from me (though a contemporary of durangopipes ) and (sort of) an American his stuff is very approachable for me. There is always the classic Practice of the Presence of God (aka The God Illuminated Cook) by Br. Lawrence. For something a little more Eastern in flavor, "The Orthodox Prayer Life" by Fr. Matthew the Poor. Or if you want to go back to the early monastic fathers St John Cassian's Conderences.